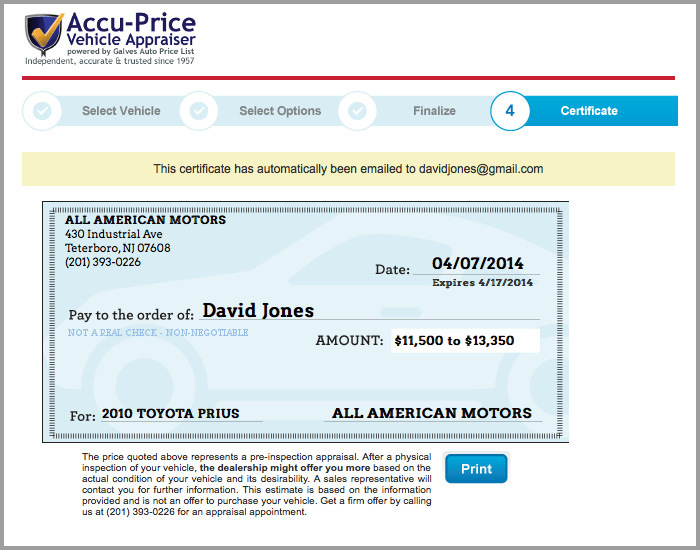 Accu-Price – Two Tools. One Price. 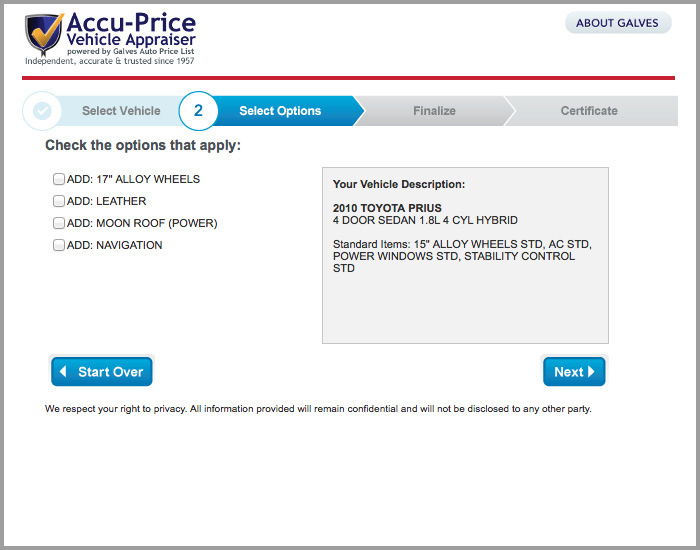 Priced at a fraction of the cost of our competitors — save thousands! 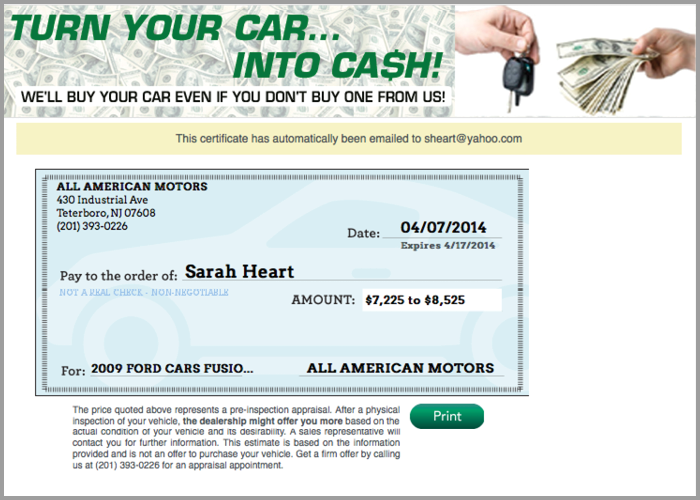 “We devote a lot of time and effort driving traffic to our site. 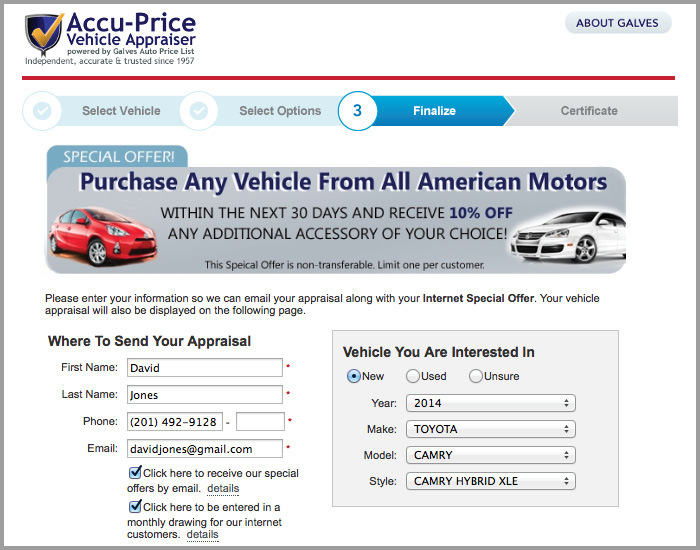 Accu-Price works great!" 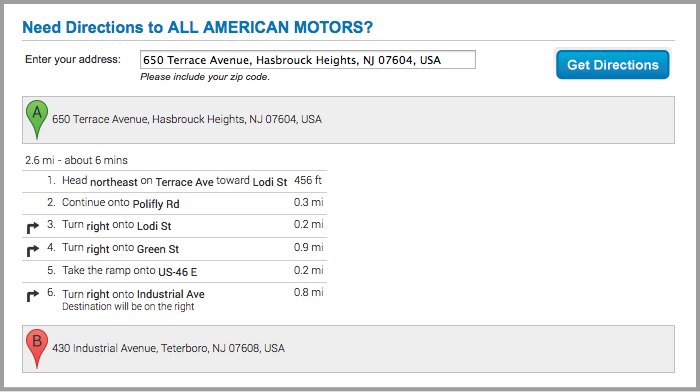 “We switched from a competitor to Galves. 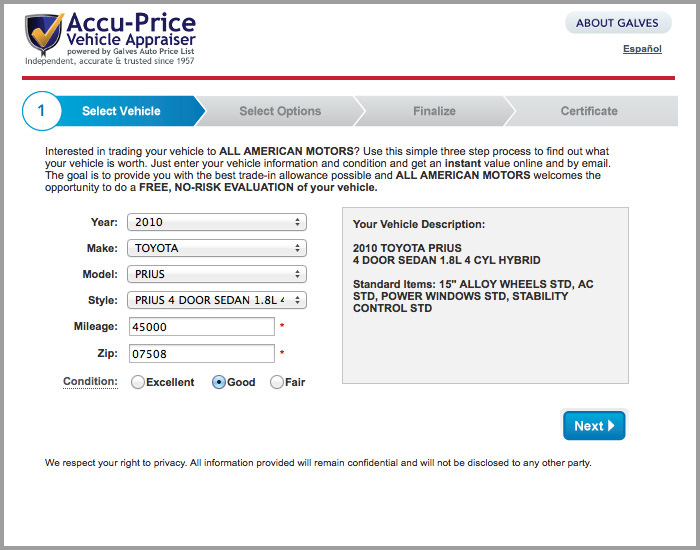 Why pay $700/month when Accu-Price is a fraction of that, is easier to use and helps us sell more cars!" 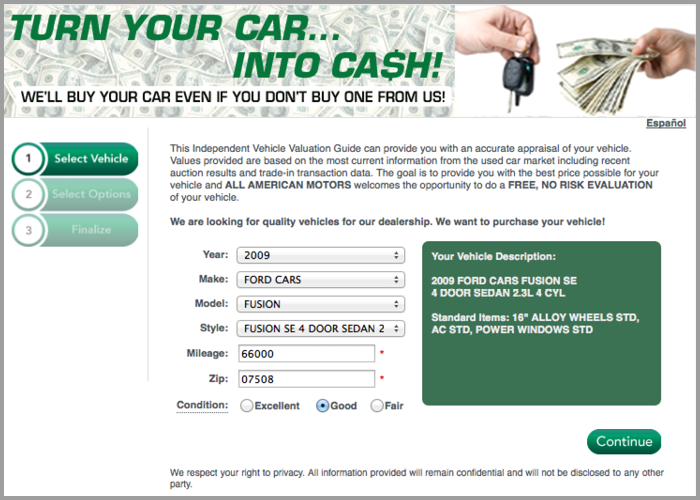 Are You A Car-Buying Service? 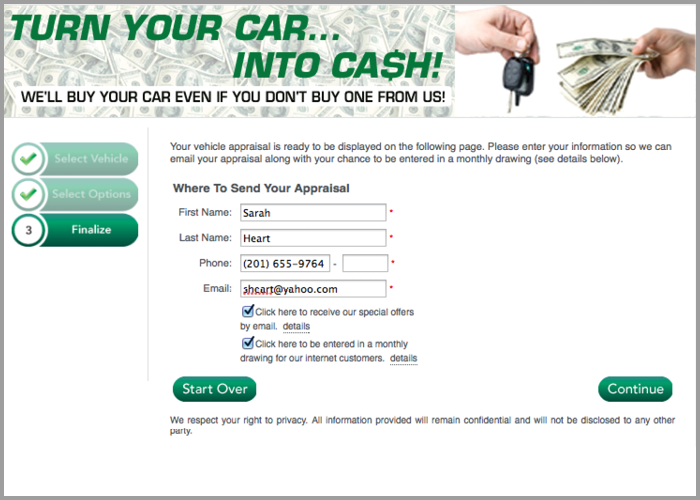 how 1800CarCashNJ.com uses the Galves API to give their site a distinct look & feel. 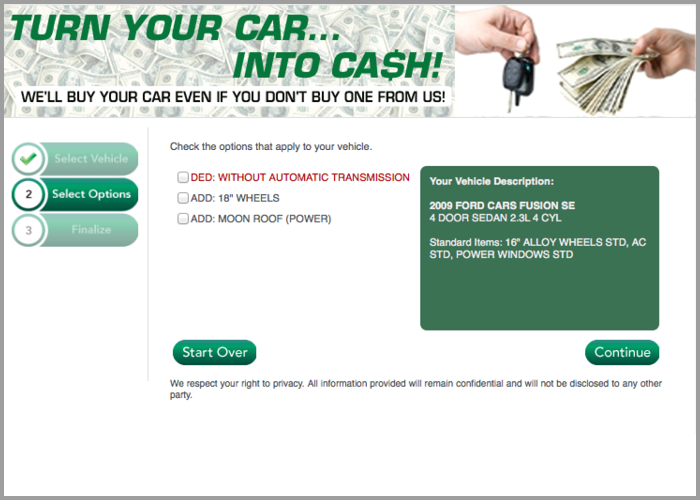 Let us customize Accu-Price for YOU! 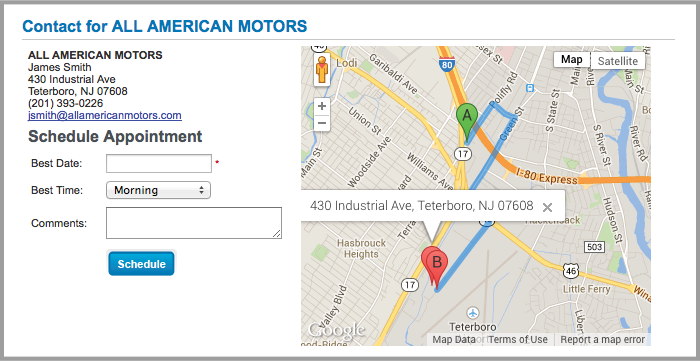 Google Maps insures your customers can find out exactly where you are! 9:00 am - 4:30 pm, ET. ● Guaranteed lowest monthly price in the industry. 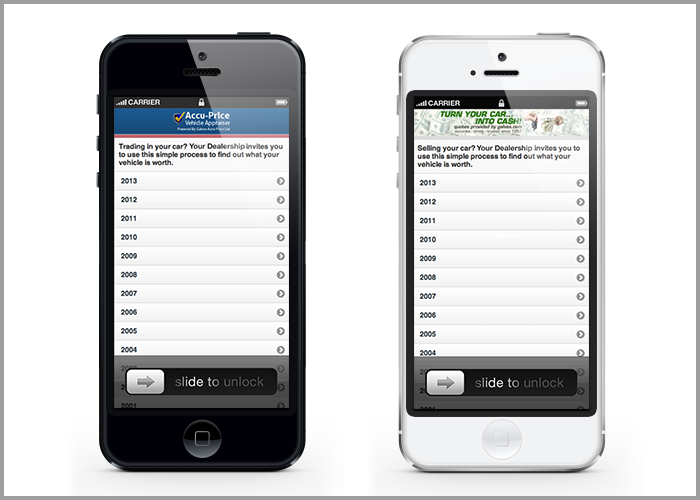 Use the "Email Us" section on the right. 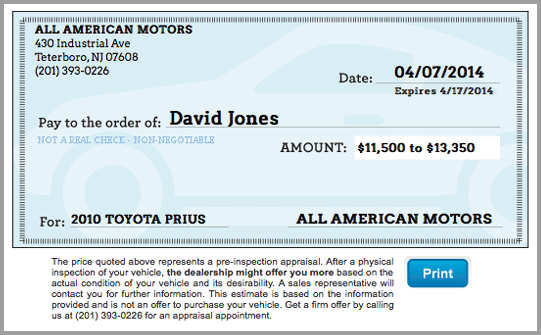 An Accu-Price representative will get back to you shortly. © 2007-2014 ACCU-PRICE. All rights reserved.